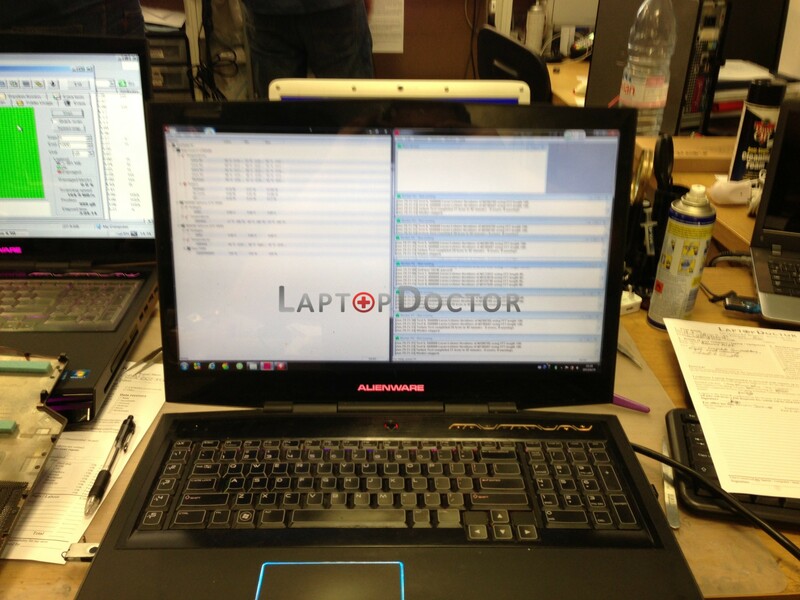 Very important that your laptop doesn’t overheat – especially with machines such as this! 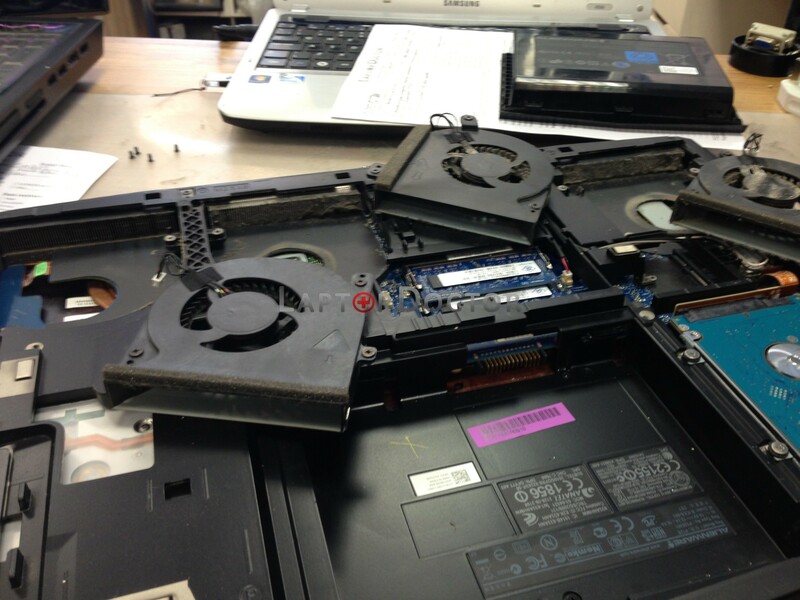 Picture shows a build up of dust inside the heatsink/fan area. This build up creates a blanket over the heat dissipation area. All cleaned out, fans greased up and cleaned and new thermal paste applied to help conductivity. Afterwards stress tested and monitored temperatures to ensure the deep clean was effective.